John Hall joined the firm as a partner in July, 2015. He received both his undergraduate and law degrees from the University of Connecticut. Since law school, his practice has involved mainly real estate transactions, property litigation, and general litigation. He has extensive experience in both commercial and residential real estate transactions and—having represented clients in land use and title disputes both privately and as counsel for Chicago Title and other insurance companies—is well placed to resolve the many issues which can derail a closing, including regulatory and landlord-tenant issues. Attorney Hall is also very familiar with the lending and loan underwriting process from his representation of borrowers in foreclosure representation and loss mitigation. 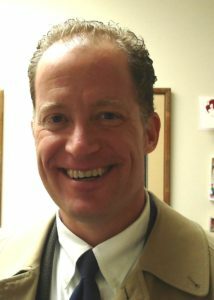 He presently serves as the Chairman of the Inland Wetlands Commission of the Town of Wilton, CT; and has previously served on the Board of Trustees for Masonicare of Newtown (nursing home); Masonicare Health Care Center (Wallingford–hospital); and as a Building Trustee for Temple Lodge 65, Westport, CT.